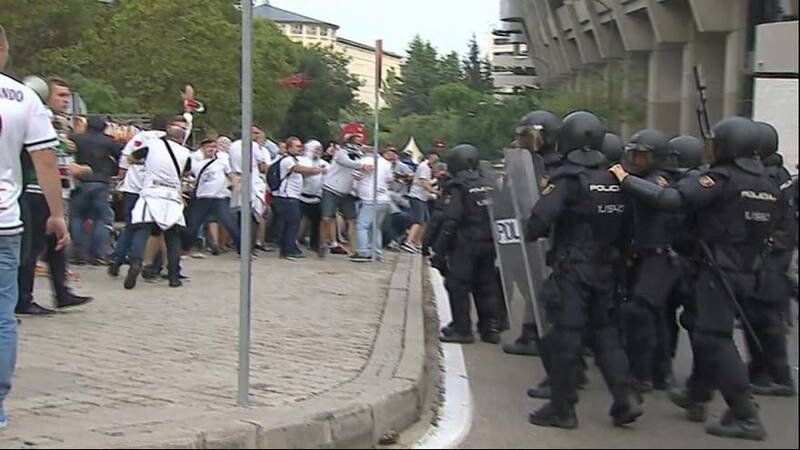 There were ugly scenes before the Champions league tie between Legia Warsaw and Real Madrid despite security having been beefed up. Legia ultras clashed with police and there were even pitched battles at one point. The Polish side have already been charged with crowd disturbances and racist behaviour following their 6-0 defeat to Borussia Dortmund last month. They are now set to play the reverse tie behind closed doors.